I love meeting crocheters at Interweave Yarn Fest. The halls of the Embassy Suites Loveland have comfortable chairs and nooks for gathering, and I always look for hooks in the hands of the people sitting there. It’s a great place to see what other crocheters are working on (and maybe recruit some new crocheters)! I love finding new connections in our community. Big yarn events can feel like they’re all about the knitting, but here are some of my favorite crochet-centric things to do at Interweave Yarn Fest. 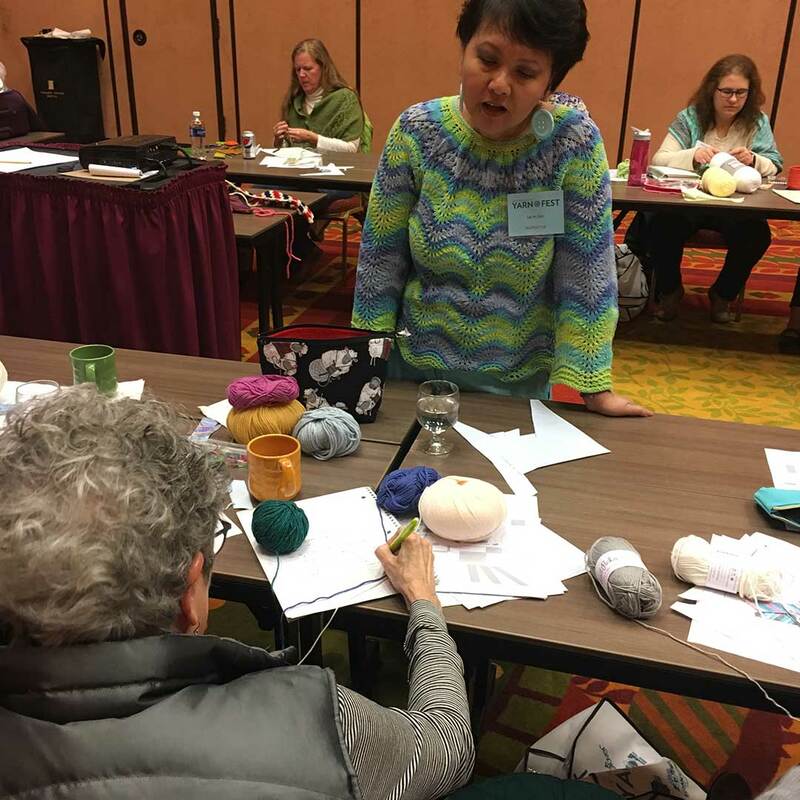 There’s so much to learn at Interweave Yarn Fest 2019. From left, Introduction to Tunisian Crochet with Daniela Nii, Cross Craftual Skills with Miriam Felton, and Tapestry Crochet with Daniela Nii. Looking forward to Interweave Yarn Fest 2019? So are we! As we dip our toes into the New Year and perceive the not-so-far-off glint of spring, it’s hard to suppress our excitement for Interweave Yarn Fest 2019! A coming together of yarn lovers and makers, this annual event provides an opportunity for some to embark upon a pilgrimage. And that pilgrimage is a success each year that an attendee comes away with more knowledge about their craft – and let’s face it – more yarn than they know what to do with. Many Interweave team members have attended this feast for fiber-loving eyes and hands. Each of us has our own takeaway as to why Yarn Fest is both irresistible and worthwhile. Read on to learn about why our staff members look forward to this event each year, and why you should attend as well! Crochet and knit designer Lily Chin imparts her wisdom to a student during Interweave Yarn Fest 2017. Peanut butter and jelly. Peas and carrots. Chips and salsa. Yarn and beer. Some things were just made to go together. If you’re in town for Interweave Yarn Fest, I know it’s tempting to stay at the hotel with your crafty friends and revel in all the fabulous yarn and fiber. But northern Colorado is awesome, and I highly encourage you to get out and explore! This area is known for its mountains, plentiful outdoor activities, and beer. There are almost 30 breweries in the Fort Collins/Loveland area, and it seems like another one opens every week. So grab your Yarn Fest buddies and head to some (or all!) of these local spots for some crafting and high-quality brews! Pardon us for looking straight past winter and seeing the bright shiny light of spring, but Interweave Yarn Fest is almost here! In the spirit of celebrating our annual ode to all things fiber and craft, we are shouting out the Local Yarn Shop family within Interweave’s reach here in Northern Colorado. 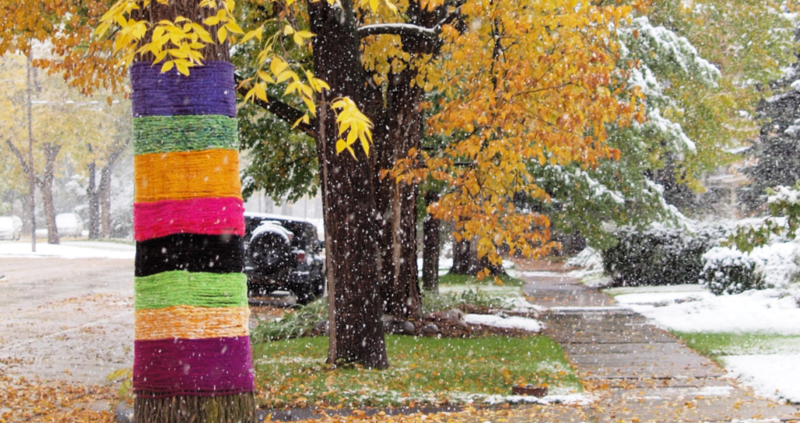 From Laramie, Wyoming to Denver, Colorado, this list reflects who and what we love: small business owners who are passionate about yarncraft, and who want to bring more of us into the fiber fold.